How to do facial at home step by step? In this article, one of contributors explain how to do facial at home step by step. Enjoy homemade facial without spending money in parlour. Either fortunately or unfortunately, we women happen to be too good at multi tasking. In the hustle and bustle of daily life, we often tend to ignore our physical and mental health. We are expected to be on our toes all around the clock. It is indeed a basic necessity nowadays amidst all the dust and pollution in our surrounding environment to pamper our skin with some facial and other skin lightening treatments on a regular periodic basis. And what is the easiest option that we have at our disposable? Yes, absolutely! Visit the most widely known and popular high-tech parlour. Well hold your horses, and thing for a moment. Apart from the exorbitant amount of money that you need to shell out from your pockets, is it really worth the money you spend purely on chemical based formulas, creams and serums? Is there really another possibility to use something more natural and home based that doesn’t burn our pockets that much? Still wondering? Well, this article provides you some of the effective naturally available ingredients that you use and a get an awesome facial done right at home! Wow! Isn’t that simply superb! Read further to know what kind of ingredients can be used for the different stages of homemade facial treatment. Don’t you think we need some sort of relaxation, pampering and attention too? That’s when I resort to this at home pampering/facial routine. It takes about fifteen minutes to one hour depending on how extensive your routine is going to be. It not only takes care of the skin but helps to squeeze some time out for myself and relax. So, without beating around the bush, let’s jump right into the routine. I am going to be talking about the basic routine. I am also going to be giving you ideas on how can build on this basic routine considering the time availability. I have normal to slightly oily skin. My skin is not at all sensitive and I can play around with different products as I wish. It is very important that you identify your SKIN TYPE and have a basic understanding of what goes well with your skin before you embark on this procedure. I have spoken about a few products here but it is certainly not necessary that you choose the same. Depending on personal preference, you can modify the products. It could be DIY’s or store bought products. Whichever you think works for your skin and shows results on your skin. Find out the most convenient time for you. A lazy Sunday afternoon or Friday night where you don’t have to necessarily rush would be perfect. I would suggest doing it at the night before hitting the bed so that your skin gets the time to sink in the amazing stuffs you put on it. Change to something comfortable and cozy. Have all the products that you need in one place so that you don’t go hunting around the house every time. Play some music, light some scented candles to ease your mood. Drink loads of water and simply relax. I don’t think I have to talk about the importance of cleansing your skin. We all know how important it is. Tie your hair up in a bun to avoid messing it. Splash some cold water on your face, lather your regular cleanser with your hands. Gently massage it all over your face in circular movements. Acts on skin breakouts and repairs them. Does not permit dust and other particles to clog the pores. Restores the skin smoothness and doesn’t make the skin too oily or shiny. Olive oil restores the pH level of the skin and flushes out impurities from the skin. Castor oil cleans and moisturizes your skin. Yogurt is rich in proteins that help to flush out toxins from the skin, helps to tighten the pores and reduces wrinkles and fine lines. Also helps to keep the skin hydrated and moist. Yogurt contains lactic acid and this acid enables to get rid of all the dead cells present on the skin. Honey is basically a moisturizer packed with antibacterial properties and antioxidants that prevents skin aging and reduces the occurrences of acne. Honey also enhances your skin colour and complexion by giving a glow to your skin. I have used THE BODY SHOP’S VITAMIN C DAILY GLOW CLEANSING POLISH. It works beautifully on my skin, instantly wakes me and leaves a slight glow which is short lived. Splash water or use a wash cloth to cleanse off your skin. Now that your skin is clean on the surface, you want to go a bit deeper. This is when the steaming comes in. I love how my face looks after steaming. You can boil some water, add some essential oil like tea tree or lavender and simply lower your face over the bowl. Cover yourself with a towel to amplify the effect. If you find this time consuming, run a hand towel under hot water, wring out the excess water and place it on your face for a good one minute. Repeat the process two or three times. Both work the same way. The steam unclogs the pores and loosens the dead skin on top. You will notice that your skin looks brighter, fresher and feels squeaky clean. You can go ahead and use the black heads extractor to pinch them out. Pull out what comes off easily and do not try to push anything that doesn’t want to come out easily. The pores are now open and easy to be deep cleansed. Make your homemade scrub by simply mixing some sugar with honey. Or you can mix sugar and olive oil You can also use a readily available scrub. If your skin is sensitive, choose a very subtle scrub. If you have active acne or any other issues on your skin, do not disturb them. It cleans my pores. 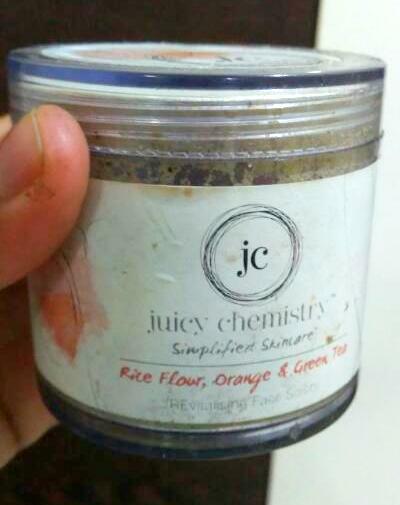 At this point, I also scrub my lips with JUICY CHEMISTRY’S CHOCO MINT LIP SCRUB. It leaves my lips baby soft with a minty fresh feel. You can also try homemade lip scrub. Easy option - Sugar + Honey. Strawberry and Honey For Oily Skin. Papaya and sugar for dry skin. The texture of this exotic fruit helps to flush out impurities, dead skin cells, toxins, dust particles and excess oil from the skin pores. Strawberry contains alpha hydroxy acid and salicylic acid that provides an instant glow and radiance to the skin. Honey is rich in antibacterial and antioxidants keep the skin moist and clean. Gives a clear, smooth and flawless skin by acting on the skin blemishes and dark spots. Eliminates the impurities clogged in the pores. Packed with antioxidants, vitamins and an enzyme (Papain), it moisturises and adds a glow to the skin. Massage is a very important aspect in any facial routine. There are umpteen tutorials on YouTube that teaches massaging techniques. Learn few basic techniques to get the blood flow going. I use simple Aloe Vera gel to massage myself. There is a lot of gels, oils and cream available in the market for massaging. Try to choose some natural ingredients. Use a washcloth to wipe off any excess. This is my favorite step. These days the market is flooded with so many varieties of masks. There are mud masks, sheet masks, powder based masks, rubber masks. Multi masking is the new trend. Check your face to examine different parts close. For example, the cheeks might feel dry and forehead might feel normal/oily. In that case, you can use a hydrating mask like honey plus curd on cheeks and multani mitti mask on forehead. If you have an oily skin, banana face mask will be helpful for you. Here are some of the benefits of using banana face mask. It evens the skin and reduces the occurrence of dark spots and blemishes on the skin. It moisturises, cleanses and delays the signs of ageing on the skin. It hydrates the skin and acts as a protective layer against the sun and other dust impurities from the entering the skin pores. Aloe Vera is packed with healing and soothing agents that act on dry and sun burnt skin and rejuvenates the skin. Avocado is rich in natural oils and hence keeps the skin moisturised and hydrated. Honey as usual is packed with antioxidants that provides a warm glow to the skin. I am recently obsessed with sheet masks and rubber masks, so I tried THE FACE SHOP REAL NATURE CALENDULA FACE MASK. Sheet masks are masks that are cut in the shape of a face and drenched in serum. Once you remove the face mask, you will notice that a lot of serum is still left in the packet. Remove the mask carefully, settle it on your face and let it be there for about twenty minutes. Then you take it off and massage the left over serum on your face. It is important that you all the moisture in your face with a good moisturizer. Since my skin felt quite hydrated and luminous after the pack, I didn’t want to overdo with a heavy mask. 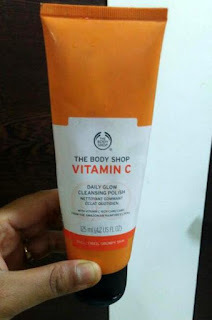 I went in for THE BODY SHOP GLOW BOOSTING VITAMIN C MASK which is gel based mask. Don’t forget to show some love to your precious under eyes. I use the AROMA MAGIC UNDER EYE CREAM now but I am on the lookout for a better option. If you are looking for natural options for moisturization, here you go. Milk contains lactic acid which softens and provides a smooth texture to your skin. Olive Oil hydrates the skin and keeps it healthy. Lemon packed with antioxidants and vitamins eliminates the dead cells and rejuvenates the skin. Aloe Vera moisturises and hydrates the skin. Reduces the occurrence of dark spots, scars and other skin infections. Coconut oil is an excellent moisturizer as it is rich in Vitamin E and natural oils. If you are stepping out, please apply an SPF. If you are doing it in the evening, hit the bed right after this, get plenty of rest and watch your skin glow the next day. You don’t have to spend a fortune on expensive treatments or spas, all that you need is half an hour in a weeks and few basic products. Love yourself and take care of your outer and inner health. After all, it is this body that you need to live with till the end. Hope you got an idea on how to do facial at home step by step. You can easily do homemade facial with natural products or your favorite products. Homemade facials are inexpensive. So, you can do facial at home whenever you want. Keep glowing!